Chapokpour, J., Ghasemzadeh, F., Farhoudi, J. (2012). The Numerical Investigation on Vortex Flow Behavior Using FLOW-3D. 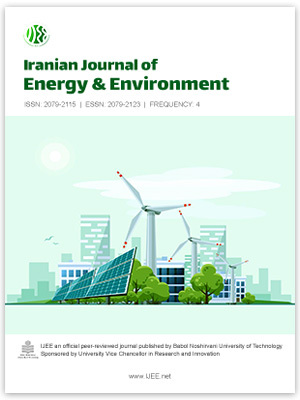 Iranian Journal of Energy and Environment; previously called: Iranica Journal of Energy & Environment, 3(1), -. Jafar Chapokpour; Firouz Ghasemzadeh; Javad Farhoudi. "The Numerical Investigation on Vortex Flow Behavior Using FLOW-3D". Iranian Journal of Energy and Environment; previously called: Iranica Journal of Energy & Environment, 3, 1, 2012, -. Chapokpour, J., Ghasemzadeh, F., Farhoudi, J. (2012). 'The Numerical Investigation on Vortex Flow Behavior Using FLOW-3D', Iranian Journal of Energy and Environment; previously called: Iranica Journal of Energy & Environment, 3(1), pp. -. Chapokpour, J., Ghasemzadeh, F., Farhoudi, J. The Numerical Investigation on Vortex Flow Behavior Using FLOW-3D. Iranian Journal of Energy and Environment; previously called: Iranica Journal of Energy & Environment, 2012; 3(1): -.